If you have been following news from the cloud industry, you might be familiar with the recent exploits at Dropbox. The cloud storage giant faced some inconvenience at the hands of some hackers who got into the service. Ever since, they have tightened the loopholes and implemented some security measures. But despite all efforts, the safety of user data still largely lies in the hands of users, since that's where a hacker seeking sensitive information will strike. 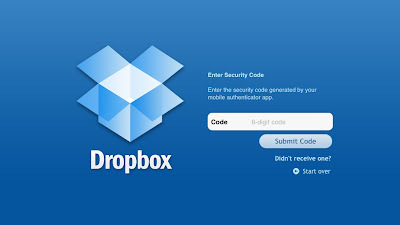 It would perhaps be best to enable 2-step verification for your Dropbox account, so as to prevent un-authorized access to your sensitive and private information. From personal experience, I can vouch for how easy it is for your important to fall into the wrong hands. Anyone who gets access to your computer automatically has access to your Dropbox account. And your online account isn't impregnable to hacking methods either. But in many cases, users get their accounts violated as a result of carelessness. Now with the 2-step verification, such inconveniences can be avoided. Dropbox's 2-step verification works just like Google's providing users with an extra security layer that can keep out most unauthorized activities. It works just like Google's or Facebook's 2-step verification. 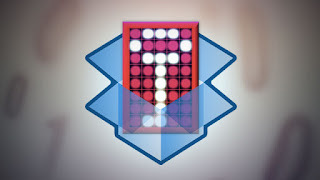 Once you log into your account with your email and password, Dropbox sends a text message to your mobile number. This text included a 6-digit verification code which you can then enter to log onto your Dropbox account. You won't be able to log on if you don't have this code. Additionally, Dropbox gives you the option of installing the Authenticator app on your smartphone, which generates time-sensitive codes right on your phone which can then be used to log in. To enable this two-level security, simply visit your Dropbox account security page. Scroll down to the bottom for the Account Sign-in section, and you'll see the Two-step verification option there. Change it if it's disabled. Now you can just follow the simple wizard which will guide you through the process. You can link your phone (smartphone with Authenticator app) or your phone number which will receive confirmation codes for log in. Note: You will also be provided with an emergency code. Keep it safe, and don't share it with anyone. This is for when you lose your mobile phone, and can't access the codes sent by Dropbox. Visit the security page once more, and review all your linked devices. Un-link all devices, and re-link them. If you don't use a device any longer, then don't re-link it. Otherwise, ever if you currently use a device, un-link it and then re-link it. That way, all these devices will now be set to require a 6-digit code before a successful login. If a new computer or device is used, you will be notified by email as well. Finally, update your Dropbox on your devices to the latest version to ensure support for 2-step verification. That's it! Your Dropbox is now much more secure! Now upload to the cloud without any worries! And if you have any confusion, feel free to ask!